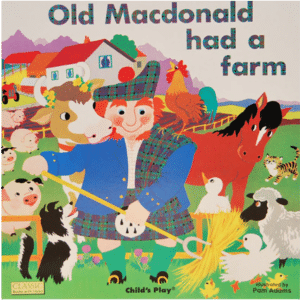 Old Macdonald Had a Farm is a book based on the classic song. It’s catchy and kids quickly pick up the chorus and love making the animal noises! This version of the story is colourful and perfect for predicting which animals come next. Use this story as an engaging way to teach farm animal vocabulary and animal noises.